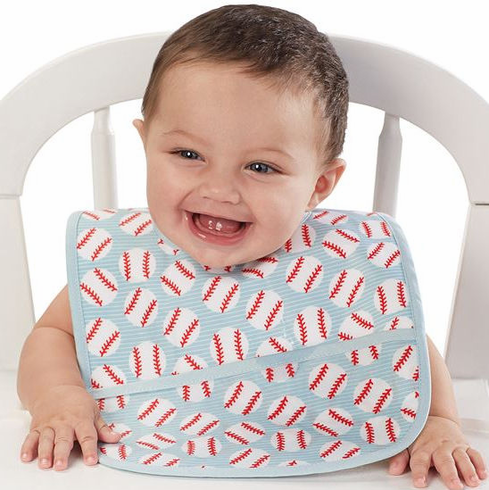 All-over baseball printed cotton bib features laminated wipeable coating with crumb catcher pocket and long pile minky back. Velcro closure. Measures appx. 12" x 9.5".